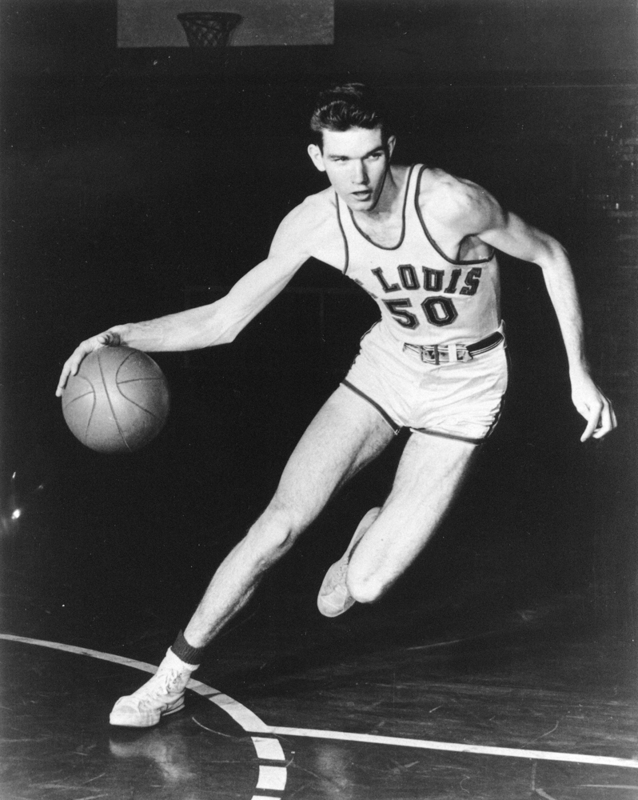 A loyal native whose mother allowed him to choose any college that was “Catholic and in St. Louis,” Ed Macauley led the Saint Louis University basketball team to the 1948 NIT national championship and won AP player of the year in 1949. Later a high-scoring Boston Celtics star, “Easy Ed” made All-NBA three straight years and was MVP of the first All-Star game in 1951. He won an NBA title with the St. Louis Hawks in 1958 and then coached them to the finals in 1960. Active in St. Louis charities throughout his life, Macauley was ordained a Catholic Deacon in 1989 and co-authored the book Homilies Alive. Inducted into the Basketball Hall of Fame in 1960, Ed Macauley was named one of the game’s 100 greatest players in 1990.